Pneumonia is infection or inflammation in one or both the lungs. It is also referred to as chest infection. 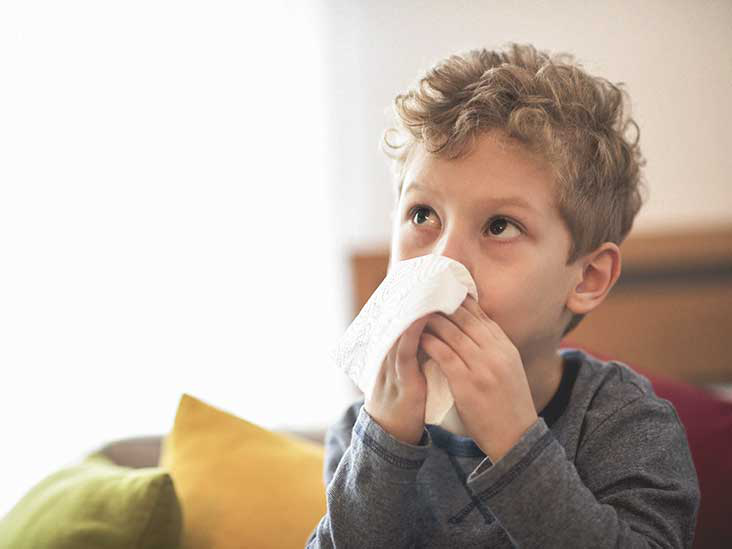 In children, pneumonia may be caused due to bacteria or virus, the latter being more common cause. During pneumonia, the small airways are swollen and produce more mucus. This results in blockage of airways and decreases the quantity of oxygen that reaches the body. It often follows a flu or cold. Majority of the children suffering from pneumonia recover completely and quickly. A kid usually recovers fully in couple of week’s time. During this time, the body’s immune system will fight with the infection and clear up pneumonia. Coughing out sputum is part of clearing up process. The cough due to pneumonia may remain for four weeks but get better gradually over this period. You notice that your kid’s cough is becoming worse again. Your kid’s cough has not got better after four weeks. Your kid is still coughing and bringing out sputum even after four weeks. Your kid has recurrent episodes of pneumonia (three of more episodes). Coughing up sputum, long-lasting cough, or recurrent episodes of pneumonia may indicate bronchiectasis. This condition is characterized by scar formation in the lungs. After discussing child pneumonia recovery time, let’s discuss ways to take care of your child for early recovery at home. If your child has been prescribed antibiotics by the physician, give them as per directions. Never stop them as your kid feels better. You have to give your kid the complete course of antibiotic drugs. Always take care while using cold and cough medicines. Never give these drugs to kids younger than six years as they can be harmful for them. For older children, follow the instructions carefully. Ensure that you give correct dose and for correct length of time. Utilize dosing device in case it is included. Look out for signs and symptoms of dehydration and if your child develops them, treat them early. Some of these signs are dryness of mouth, sunken eyes with less tears on crying, lack of energy (your kid may want you to hold them a lot) and less urination than usual. Let your kid drink plenty of fluids, so much so that the color of their urine is clear or light yellow. This is particularly important in case your kid has diarrhea or vomiting. Give them water sips or drinks including Gastrolyte or Pedialyte. These drinks are a mixture of sugar, salt and minerals. These are available at grocery stores or pharmacies. Give these to your kid as long as they are vomiting or having diarrhea. They should not be used for greater than 12-24 hours as only source of food or liquids. If your child has pain or fever, you can give them ibuprofen (Motrin, Advil) or acetaminophen (Tylenol). Make sure to follow the instructions given on medicine’s label. Use correct dose according to your kid’s weight and age. Aspirin should not be given to any person younger than 18 years of age. Ensure that your child gets plenty of rest. Keep them at home in case they have fever. Use a humidifier in your child’s room. This will make the breathing of your child easy. Clean the machine according to the instructions provided. Your child should be kept away from any kind of smoke. Do not smoke in the house or allow any other person to smoke. If you require help to quit smoking discuss with your physician regarding medicines and programs to quit smoking. Ensure that every person in your home washes their hands frequently during the day. This helps in preventing the spread of bacteria and viruses. You already know the child pneumonia recovery time and ways to take care of your child for early recovery at home, but sometimes your child may need medical treatment at hospital. Your kid develops more problems in breathing. Your kid becomes sleepy or drowsy and you are finding it difficult to wake them up. Your kid is vomiting continuously and is not able to drink fluids. You get worried about the condition of your kid any time during the disease. Some kids require a check up after some days. Your physician will notify you when you should come back. Around 6 weeks post infection, your kid must see a physician to ensure that they have recovered completely. Keep the immunizations of your child up to date. Get your kid flu shots yearly. You can get more information about flu shots from your family physician. Teach children of primary school age to not share drinking or eating utensils, drinks, foods or toys with other kids. This becomes difficult in young kids particularly kids going to childcare, kindergarten or crèche as they frequently put shared toys and their hands in their mouth. In such instances, kids who are immunized will have smaller risk of getting infected with pneumonia. Teach kids to wash and clean their hands post sneezing or coughing to prevent spreading of germs.